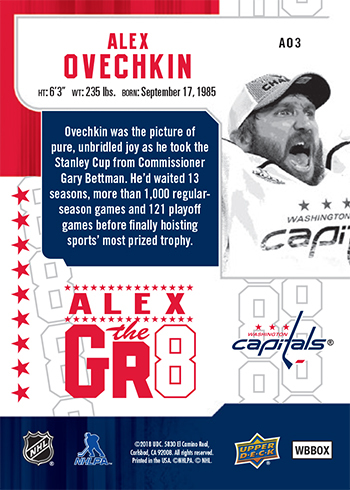 Hockey fans loved seeing the passion Alex Ovechkin exhibited after becoming a Stanley Cup champion. 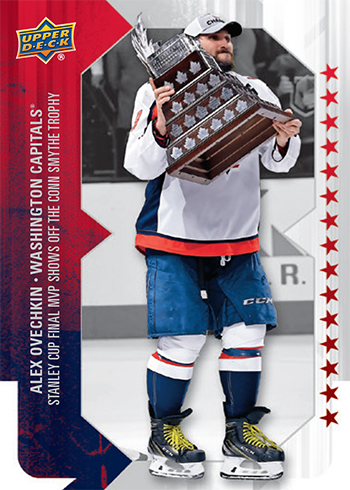 Upper Deck scored some of the best images of Ovechkin’s celebration as time ran out, after he won the Conn Smythe Award and as he hoisted the Stanley Cup for the first time for a special promotional set that will be available this week. 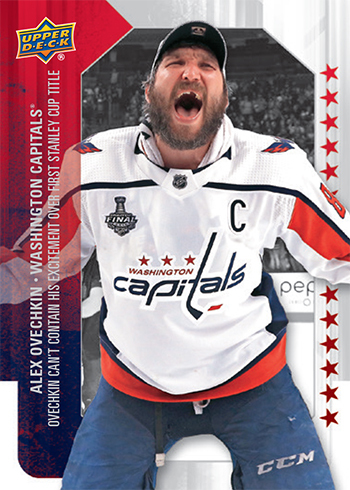 Also, Upper Deck will be bringing some packs out to the 2018 National Sports Collectors Convention in Cleveland. These will be available with UD’s box breaker promotions while supplies last on Saturday and Sunday. 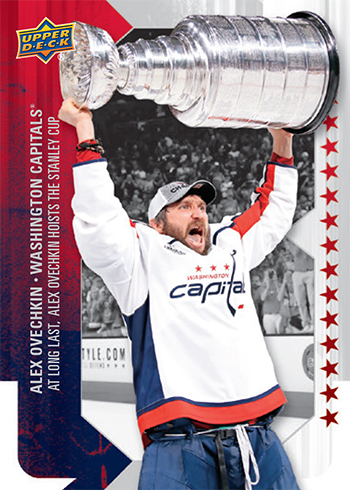 Fans will soon be able to score these packs with any NHL purchase at UpperDeckStore.com as well while supplies last!